Dr. Mark Morrow is actively involved in continuing his education and regularly attend AAPD meetings, receiving more than 20 hours of training each year. He was fortunate to have attended Baylor College of Dentistry for his residency, where he was exposed to almost everything one could experience in pediatric dentistry. That, combined with annual continuing education, allows Dr. Morrow to fully utilize his knowledge to better assist the children within the practice. Dr. Morrow serves on the consulting staff at Claremore Comprehensive Indian Health Center and St. John Medical Center in Tulsa. 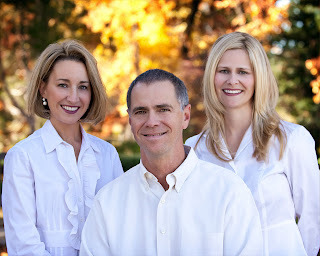 Dr. Morrow has lived in Tulsa all of his life and is married to his wife, Susan. They have a son, Matt, Daughter in-law, Emily, and daughter, Stacy. They have also rescued a black Standard Poodle named Paris. In his free time he enjoys fly fishing, golfing, traveling, and watching Oklahoma State football and basketball. As a pediatric dentist, Dr. April Lai’s focus is developing young patients with excellent oral health and habits and positive attitudes towards receiving dental care. She truly loves working with children and seeing the sense of accomplishment and pride that a child has after completing dental treatment. Dr. Lai believes in the importance of education and prevention in the office, as well as being a good role model to the youth in her community. Dr. Lai lives in Tulsa with her husband, Joseph Lai, who practices orthodontics in the Tulsa community. They have three wonderful children, Cooper, Olivia, and Fisher, and a Black Lab named Jake. She really enjoys spending time with her family. With three young children, the Lai family’s leisure time is filled with bike riding, playing outside, and helping mommy cook. When Dr. Lai does have free time, she likes to run and attempt Pilates. She recently started running with some of the office staff and finds it to be great for the body, mind, and soul. She is a member of Church of the Madalene Catholic Church and is involved with and volunteers at her son’s school. She is also involved in Emergency Infant Services and Catholic Charities. As the newest member of the team, Dr. Kerry Edwards feels extremely honored to have joined a practice with such an outstanding reputation in the community. As a pediatric dentist and a mom, she tries to always remember that children don’t have the same comfort zones or anxiety levels and she tries to treat her patients as she would treat her own children. Dr. Edwards enjoys providing excellent oral healthcare to children and feeling like she is truly making a difference in their lives. Watching her patients grow up and gain confidence makes this a very rewarding career. Dr. Edwards is a native of Muskogee and now lives in Jenks with her husband, Eric, and their children, Will, Lizzy, and Annabelle. She enjoys attending her children’s activities, TSC Soccer, Jenks Football, Sooner Football, as well as scrap booking, running, and exercising. She is a member of Madalene Catholic Church and is involved in supporting the Catholic Charities Organization in the Tulsa area.